Looking for new Chevy vehicles under $30,000 near Bloomington, Danville, and Decatur? 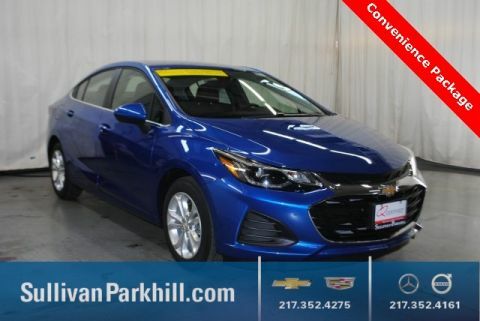 The Sullivan-Parkhill Auto Group has the inventory that you’ve been waiting for! We feature some of the best sedans, SUVs, and trucks that Chevy has to offer, so don’t hesitate to visit us today. Learn more about our dealership, or preview our inventory below! There may be many dealership around Bloomington, Danville, and Decatur – but we think you’ll find the Sullivan-Parkhill Auto Group goes above and beyond your expectations. As an automotive leader in the Illinois area, we strive to provide the best experience possible for each and every customer. Of course, we offer a wonderful selection of new Chevy vehicles under $30,000, but we also have an incredible finance team and expert service department. We’re proud to be your one-stop-shop for all things automotive! Ready for your test drive? Contact us to get started!